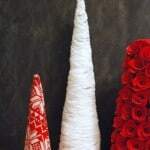 Home / Holiday Crafts / Summer / How to Make a Fairy Garden in Four Easy Steps! Want to learn how to make a fairy garden the easy way? This DIY fairy garden uses clay pots and takes only four steps! Get the how-to here. Be sure to scroll down to the bottom of the post see a video of the same fairy garden technique on a birdhouse. Skills Required: Beginner. All you need to be able to do is use a paintbrush, a pair of scissors, and glue to decorate a fairy house. Other fairy gardens are more involved, but I made this one simple for a reason! 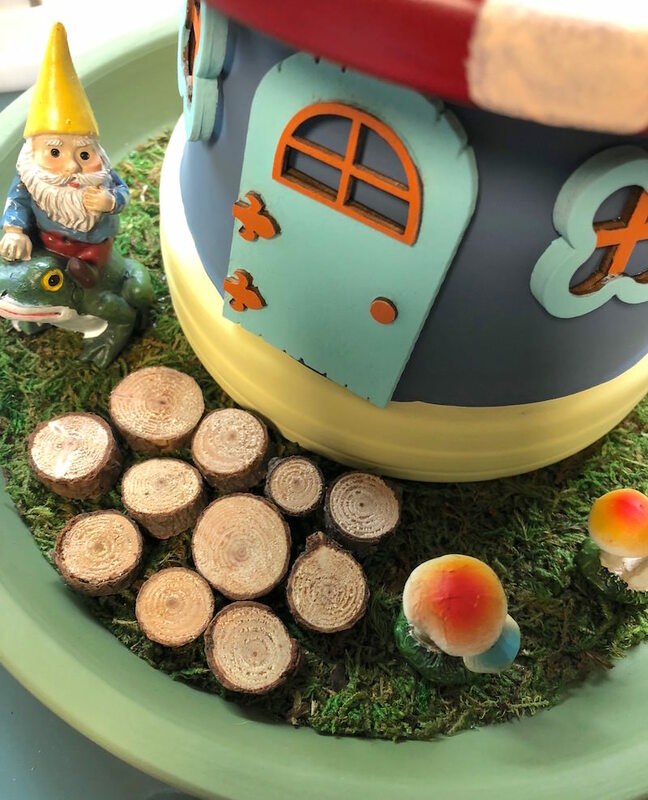 If you've ever wondered how to make a fairy garden the easiest way possible, then you're going to love this project. Did I mention it's probably one of the most budget friendly ways to make a fairy garden? 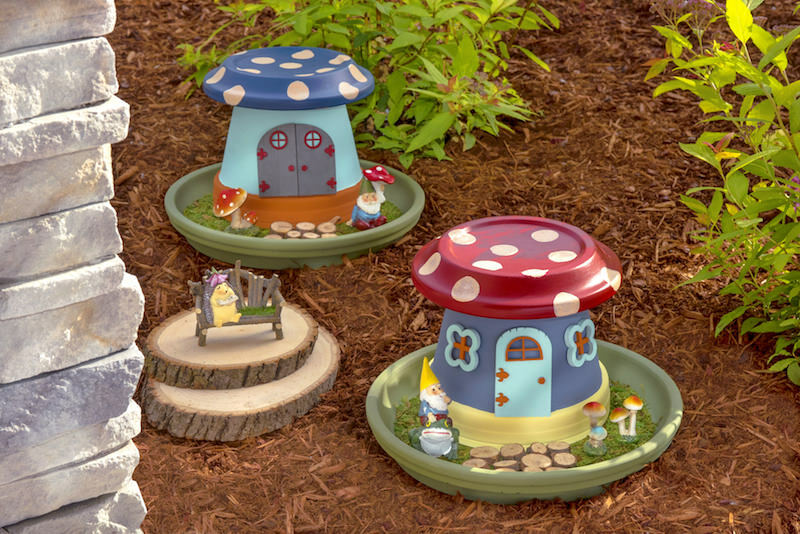 I don't know if you've looked at prices recently, but the supplies and accessories for a fairy house can add up quickly. So easy, even a kid can do it. In fact, I did the project with a child – my six year old niece. Now these awesome gnome houses are sitting right outside my front door! Before we dive into the project, I wanted to go over some details for how to make a fairy garden. I know it seems like there's not much to it, but here are the craft supplies I used and why so that you can achieve success! If you're ready to just dive into the project, scroll down. The reason I selected clay pots for my DIY fairy garden is, first and foremost, I wanted something that could go outdoors. Clay pots are very durable, and I knew that they would hold up to the rainy weather of the Pacific Northwest. If you want your garden to stay outside most of the time, consider clay pots. Also consider drilling drainage holes in the clay pots if you get a lot of rain in your area. My DIY fairy garden is for the outdoors . . . if that's the plan for yours as well, I recommend FolkArt Outdoor or FolkArt Multisurface. The Multisurface is my favorite paint of all time because of the colors and coverage! You'll want to use a few coats of paint to completely cover the pot and saucers. 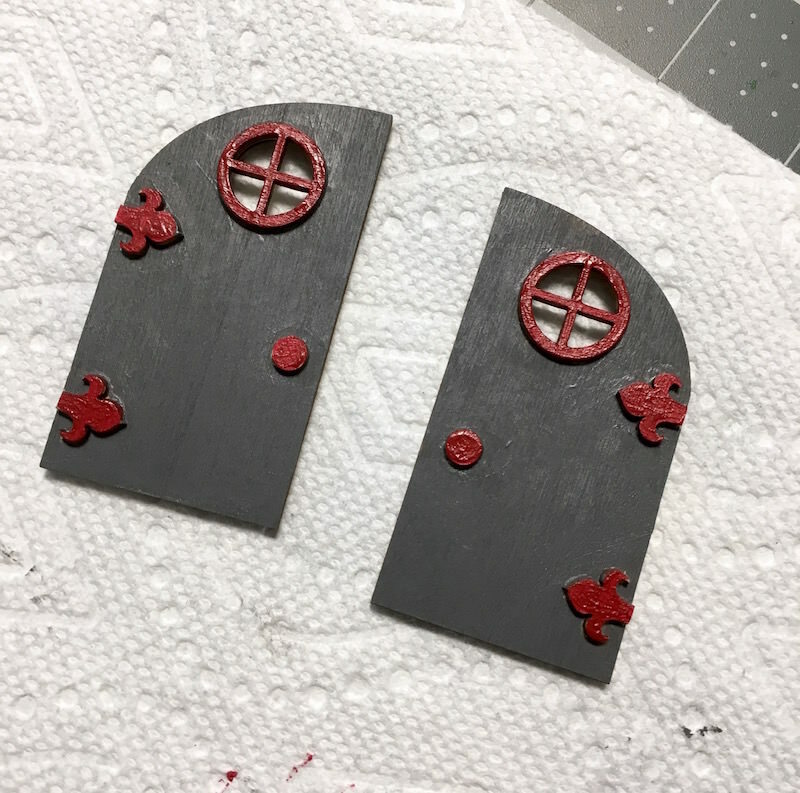 If your project is going inside, regular acrylic paint will work just fine. You can also use regular paint with an Outdoor sealer, but it will fade more quickly if it's not outdoor rated. I highly recommend using unfinished wood pieces as much as possible to save money on your DIY fairy garden. I got my pieces directly from Plaid here. You can find windows and doors on Amazon as well as eBay. 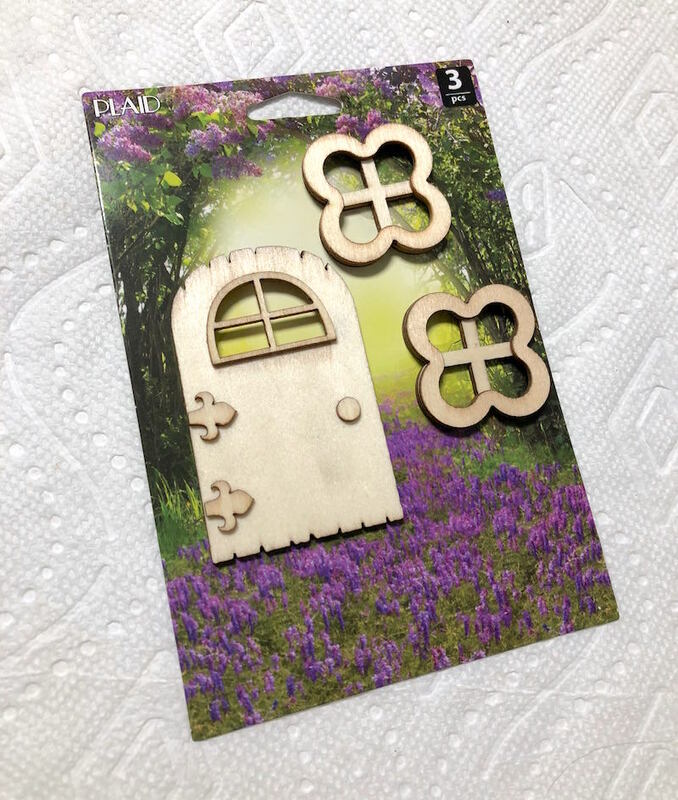 I rely on both Michaels and Dollar Tree these days (in addition to online) to get a lot of my fairy garden accessories. I have the Michaels app and I'm always looking for those coupons for purchase! I wrote an entire post on how to protect a fairy garden – and I'll give you the summary here. The secret is Outdoor Mod Podge! 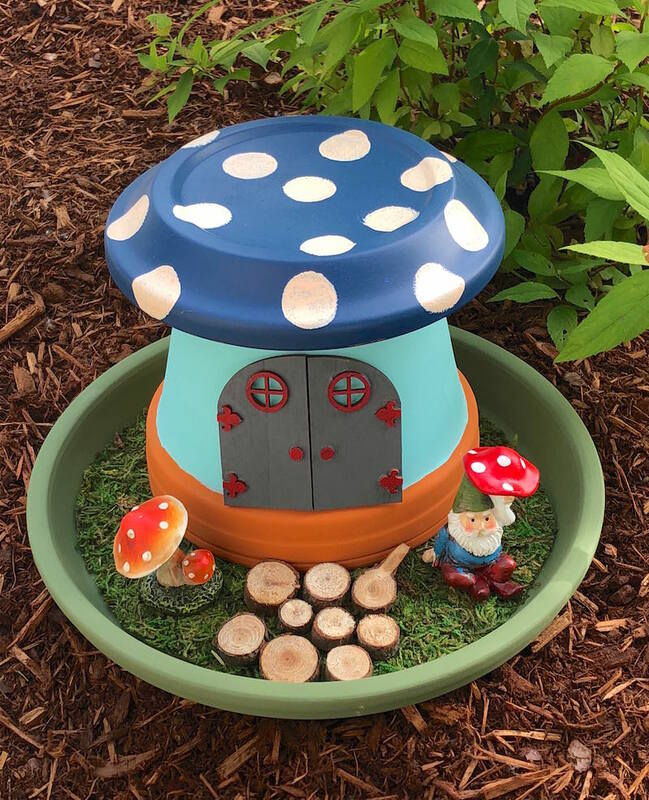 If your houses are going to be outside in all types of weather, read this article to learn more about Outdoor Mod Podge and what its abilities are. Are you ready to get started on the project? Keep reading to learn how to make a fairy garden! Before beginning, make sure your terra cotta pots are clean and the labels are removed. You can use mild soap and water to clean a clay pot; just make sure it's fully dry before painting. 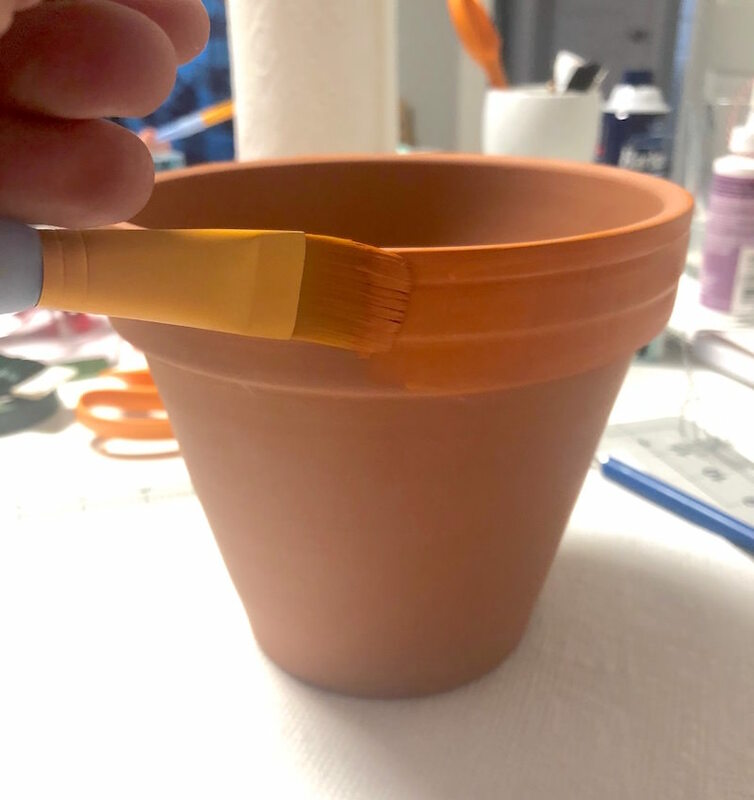 Start by painting the rim of your clay pot(s) with a few coats of acrylic paint. Let dry. 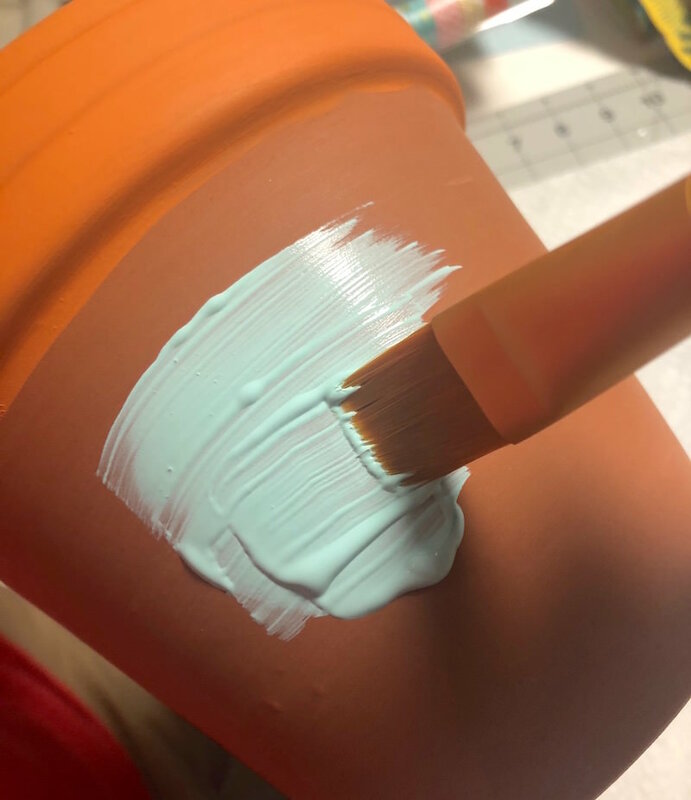 Choose another color and paint the base of your terra cotta pot. Don't worry about the bottom of the pot; it won't be seen. Choose the unfinished wood pieces that you'd like to paint to decorate your house. Paint the pieces with multisurface paint and let dry. These are going to look fantastic on a fairy house! 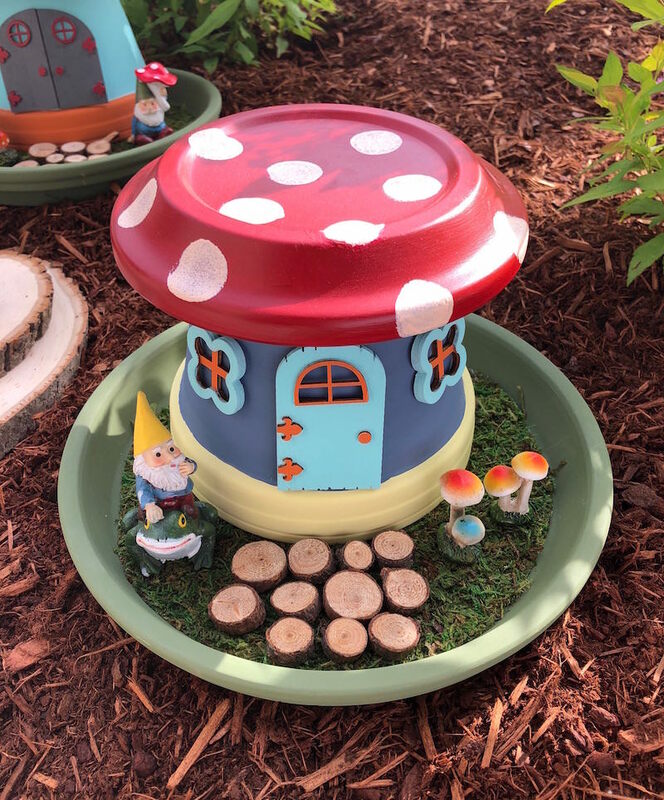 Paint the saucers of your DIY fairy garden with whatever colors you like. I recommend painting the larger saucers green to match the moss. 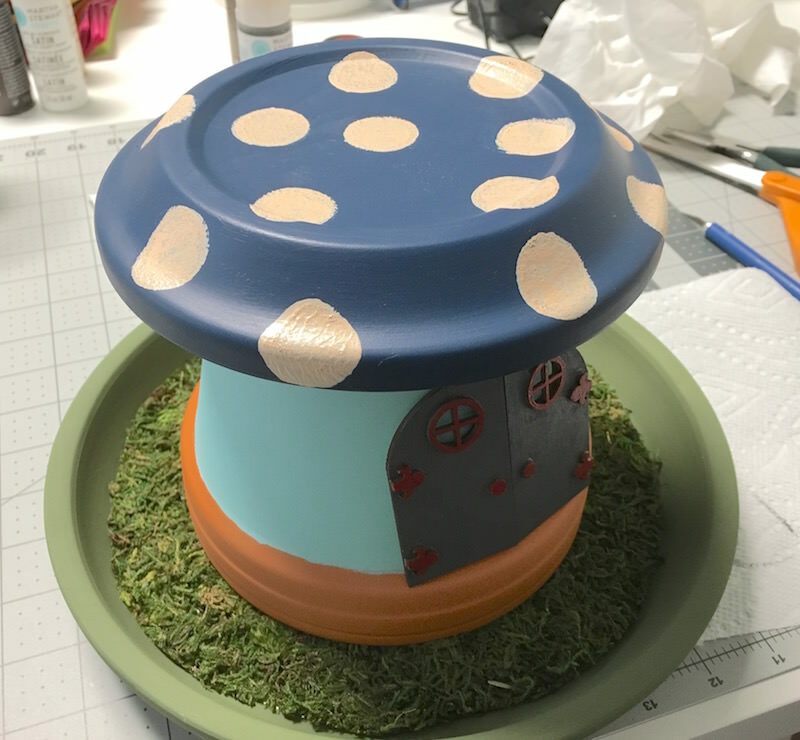 We turned the tops of the fairy houses into mushrooms by adding polka dots with a spouncer! 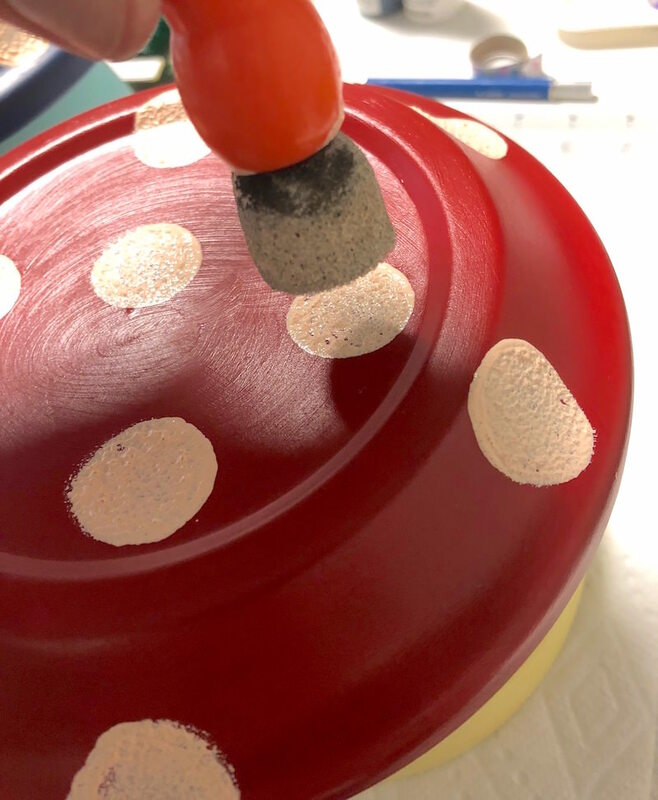 If you've never used a spouncer before, you simply place a bit of paint on the bottom and press straight down onto the item to make a dot (practice before trying it on the pot). Use a flesh or white color for the dots if you do the mushroom design. Cut a piece of moss to fit the 10″ saucer. You can do this by tracing the bottom of the pot onto the back of the moss, if it's a sheet. If you decide to use moss pieces, glue them down with a waterproof glue to cover the base. 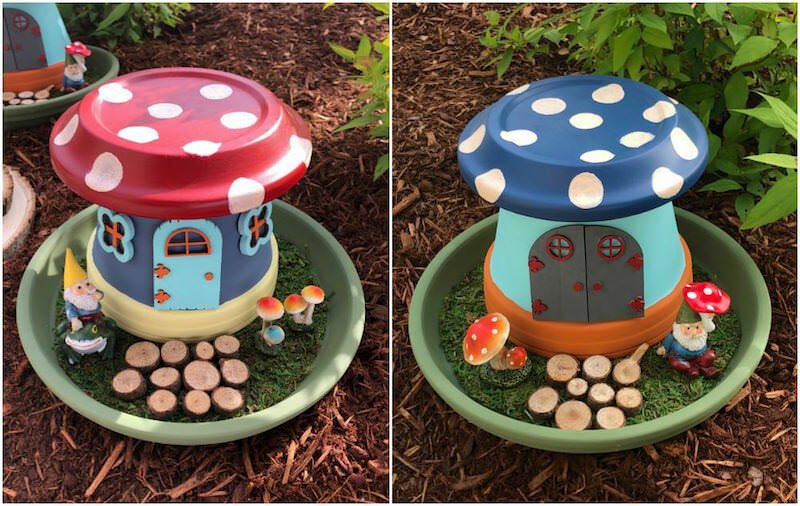 Use E-6000 or another waterproof glue to attach the top of the fairy house to the bottom of the pot. Then place a ring of glue around the top of the clay pot and put it down on the base (into the moss). Let dry for several hours. Add embellishments to your DIY fairy garden, like small wood circle steps. Add them with the waterproof glue. We also placed gnomes, but we didn't glue them down because we want to be able to change those out to various animals, fairies, etc. 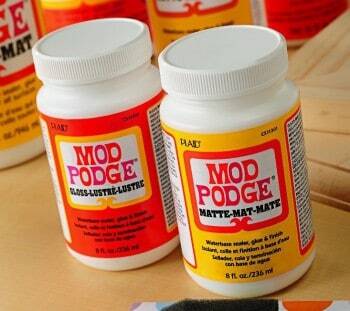 Give your houses a few coats of Outdoor Mod Podge (minus the pieces that will be moved). Let dry before placing your homes outside. In the corner of my yard near the front door I created my little fairy garden with a few houses and slices of wood. I love it! Now that you know how to make a fairy garden that will 1) last outside for a long time and 2) be budget friendly, I'd love to know if you try it in the comments!